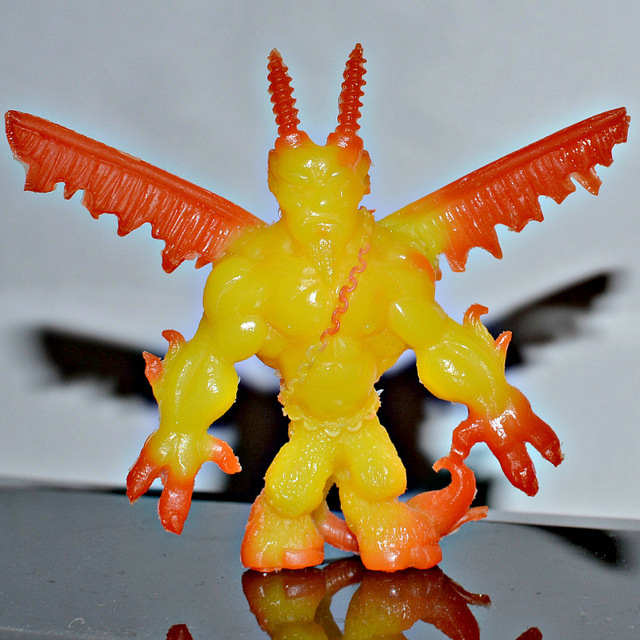 Until now it had been a while since we'd seen anything new from the excellent indie mini figure line Universe of Violence, but at long last UoV has made its triumphant return with a new spin and two fantastic new figures, Satyrant and Venus Maneater! Both figures are the work of Justin "Metal Monkey" Gadze, who is keeping UoV going as "Universe of Violence II: Chaos Dimension" with the blessings of UoV originators Jimmy Rommel and Eric Nilla. As soon as I found out Justin was working on these figures, I couldn't wait to see them. Knowing he does great work and that we share some favorite toy lines like Monster in My Pocket and Neclos Fortress, I was sure his UoVII creations would be something special. And they most definitely are. Justin really went all out to introduce this new phase of UoV. I love these figures! The two new characters are Satyrant, who looks like a cross between a satyr and a demon, and Venus Maneater, a killer plant monster. The pair first became available a couple weeks ago, and while Justin did the design and sculpting, Eric Nilla handled the casting of this initial batch in rubber. 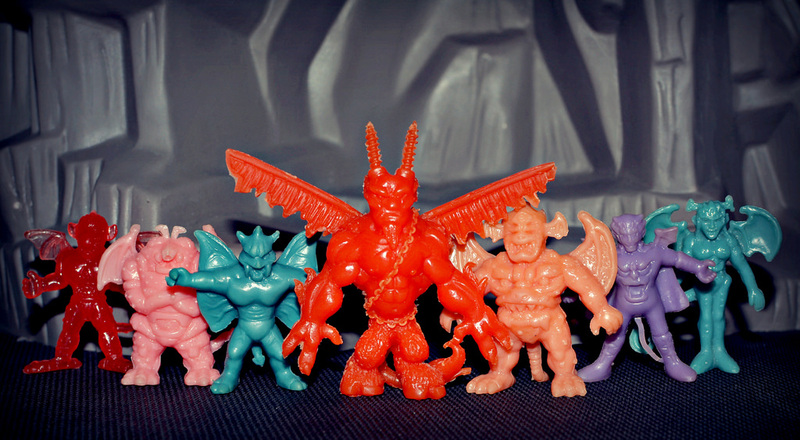 Justin sold both figures in many different random colors (including thermal color change and glow varieties) through his online store. Both figures are already sold out, but there are plans for additional releases of them in the future (details TBA--keep an eye on Justin's blog). Aside from the figures themselves, I really like the fact that the release includes Neclos Fortress-inspired mini character cards with great artwork by Justin. It's a cool homage to one of the best keshi lines ever, and brings a really fun '80s fantasy/RPG element into UoV. But the main attraction, of course, is the figures. So let's take a closer look at them both. 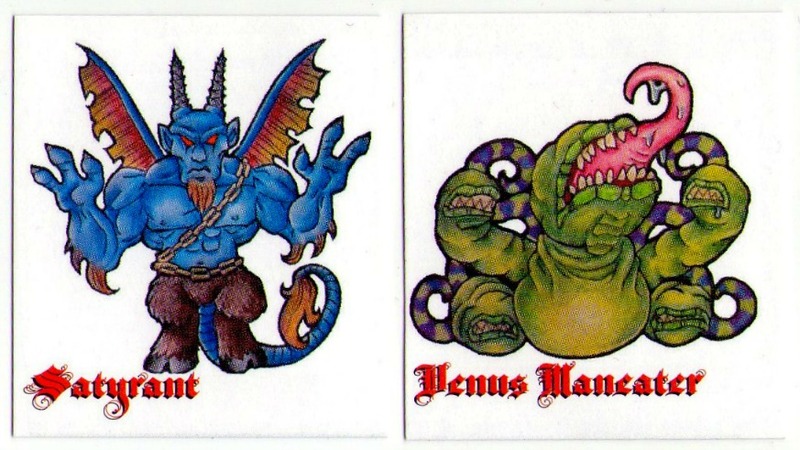 I've always thought plant monsters were awesome (I think I wore out a VHS of "Little Shop of Horrors" by watching it pretty much daily when I was a kid), so it's no surprise that the Venus Maneater is my favorite. This sculpt is so fierce! I love how vicious it looks, from the many long, sharp teeth and huge, curling tongue of its main head to its multiple other mini heads that look like they could do some serious damage in their own right. It's like a Piranha Plant on a mega dose of steroids. The figure has some bulk and heft to it, which makes it look extra formidable alongside most other monster minis. My particular figure was cast in a blue-green rubber that looks very similar to a color that was a staple in the Neclos Fortress line, which I'm happy about. 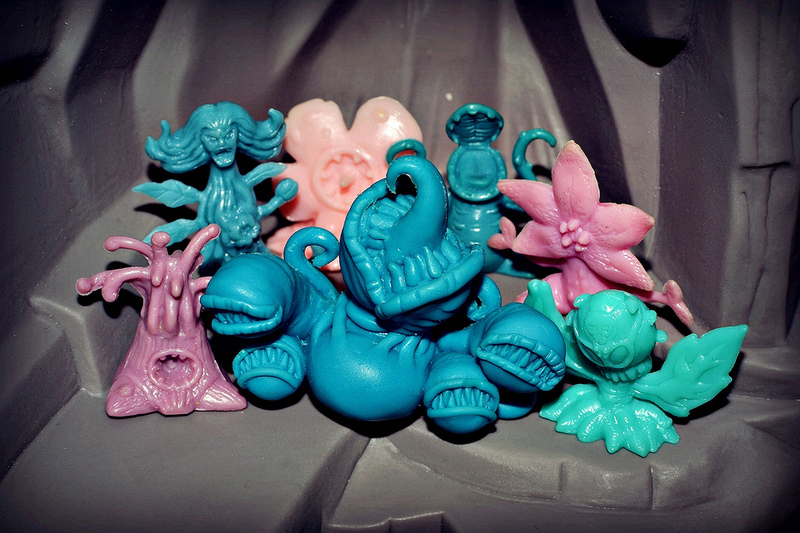 In fact, it fits in really well with all the different Neclos plant monsters (see for yourself below). It looks like it could be the "mean green mother" of them all. 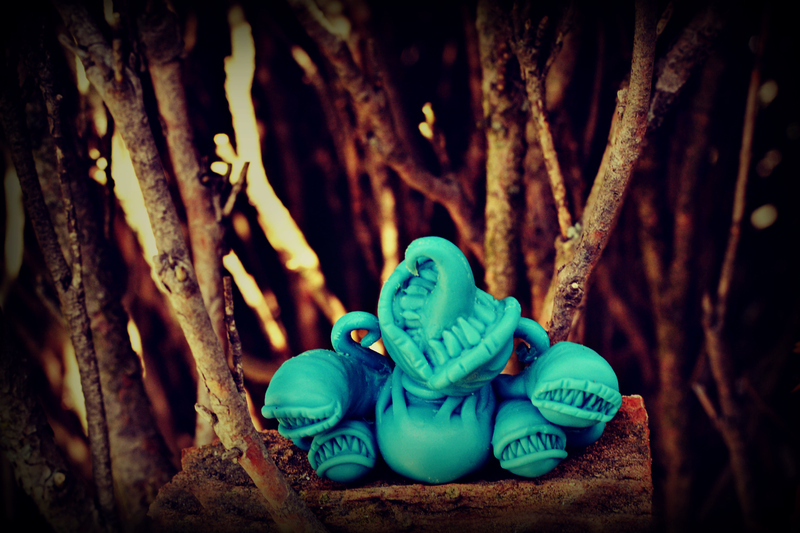 Satyrant is another suberb sculpt. The various details and textures on this guy are really impressive, from the fur on his legs to the chain the wraps around his body to his screw-like horns. Also, I just love the weirdo demon-satyr combination in general. Like the Venus Maneater, he's got quite a big presence when put next to most other mini figures--if he were a villain in a video game, he'd definitely be a boss! My figure comes in an orangey-red that I think really suits the character well. Plus, I realized when I was holding it for a bit that it's one of the thermal color change versions--he turns yellow when he gets warm! How cool is that? This figure also looks great with Neclos figures. He made me think of the many demon characters in the Neclos line, so I got a shot of him with some of those figures (below). He looks like he could be their leader, just like Venus Maneater could be the leader of the plant monsters. And there you have it. UoVII has started off with a bang, don't you think? I'm definitely impressed, and looking forward to seeing what's next. What's your take on these guys? Were you able to get some of your own from the initial release? If not, do you plan to pick any up in a future release? Am digging Satyrant he looks awesome! Thanks, dude. Love the figures and can't wait to see what you've got planned next.